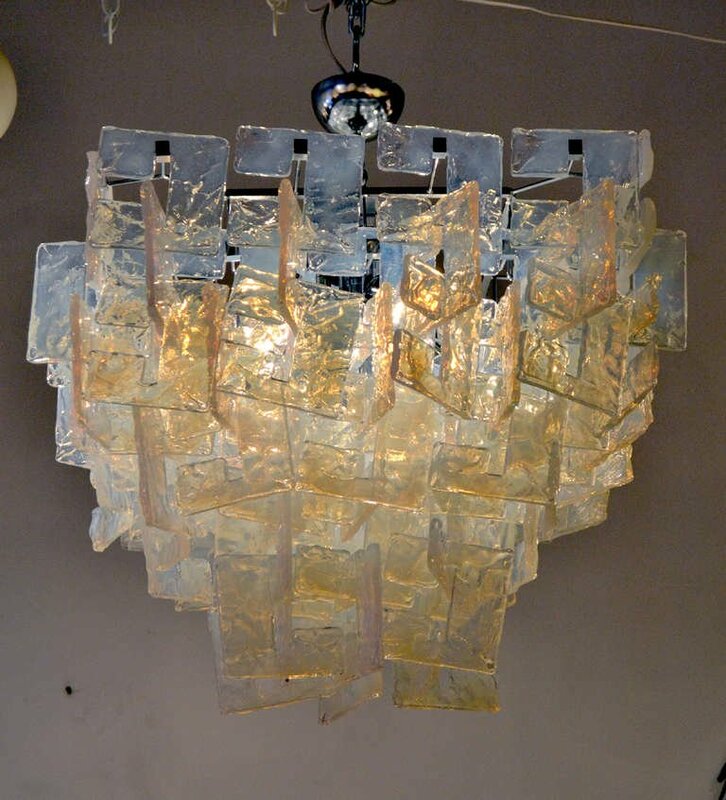 A unique take on the glass cluster chandelier popular in Mid-Century Italian design. 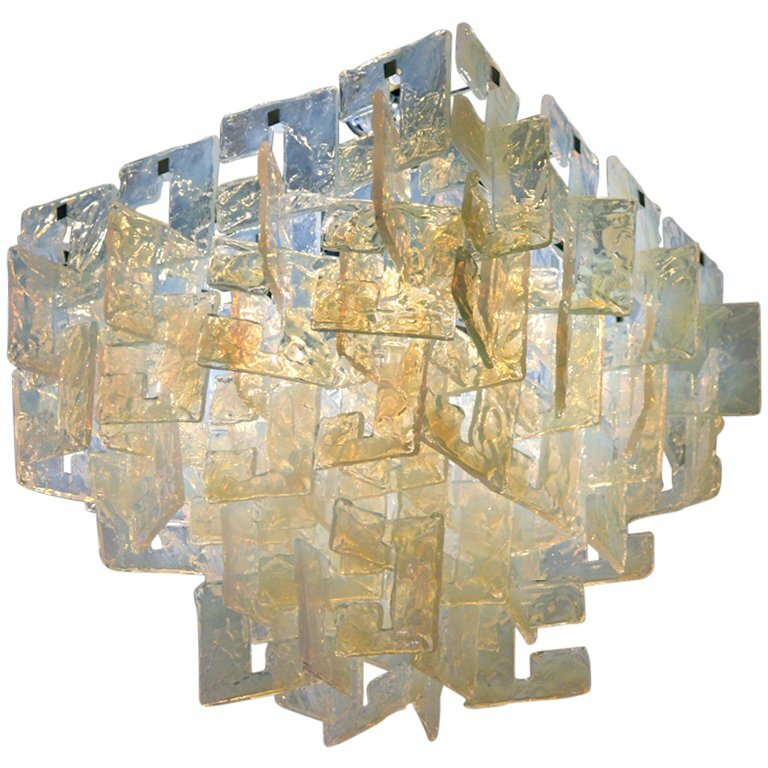 A steel structure suspends chains of poured opalescent glass links, each link with a unique organic texture. Extremely attractive variety of color density throughout. The height measurement listed includes the full extent of the chain and ceiling cap which can be shortened.